In Africa, it’s even more traumatic. Many of the children that Team Hope help have to get up really early, and walk (often barefoot) to school, many kilometres away. By the time they leave home, they’ve already done a few hours of housework in the one-roomed house shared with the whole family, been to the river to get water or helped Mum make breakfast. The family may have had to forego a meal to find the money to buy a pen, pencil or copybook (because you can’t get enrolled in school without one). Your schoolbag is a plastic bag. Sometimes school is outside under a tree with no blackboard, chalk, whiteboard, chairs or desks - just teacher and a class of up to 100 children. 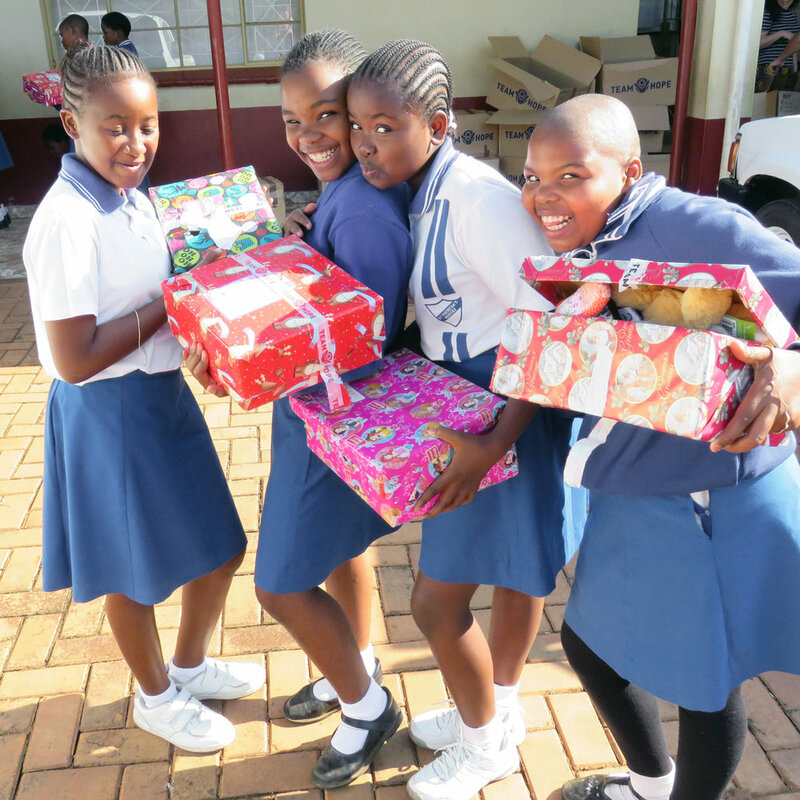 Now, just imagine the difference a Team Hope School Pack, or the contents of a Team Hope Christmas shoebox would make! 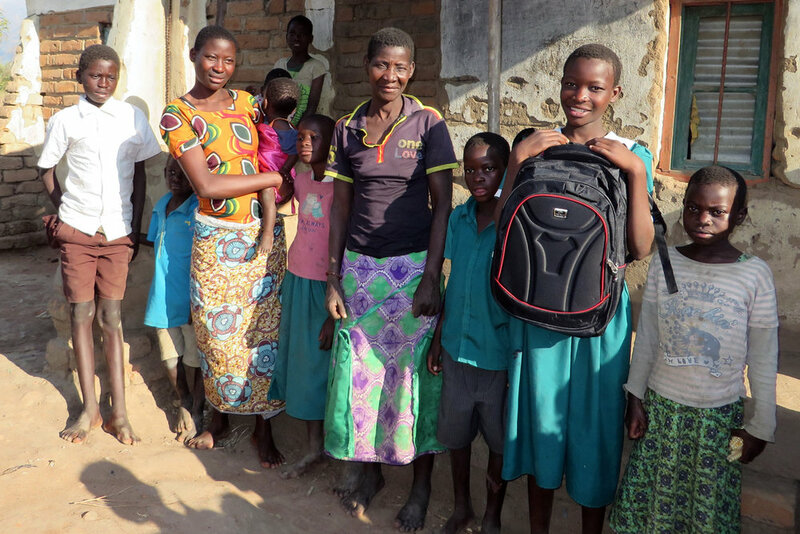 Earlier this year, Team Hope’s Confirming Hope (a project by children making their confirmation here in Ireland) gave school bags and supplies to children in one of the poorest parts of Malawi. Thanks to children in Ireland who gave away some of their confirmation money, eleven-year-old Beatrice received a Team Hope School Pack. Her big smile told us that it was the first time she ever had a school bag (in fact, it was the first gift she had ever received). But more importantly, she knew that maybe now she would be able to fulfil her dream of becoming a teacher. Beatrice had dropped out of school because she had no copybooks but now, thanks to her Team Hope school pack and her Christmas Shoebox, she was able to go back. She loved her shoebox – particularly the toothpaste, the toothbrush, the doll, crayons and clothes, but most of all the copybooks. Last year over a quarter of a million vulnerable children like Beatrice received a shoebox full of gifts from someone in Ireland through Team Hope’s Christmas Shoebox Appeal. In St. Theresa’s Primary School, Manzini, Swaziland the atmosphere was electric with anticipation. Then the 500 waiting, madly-excited girls opened their shoebox gifts – wild with joy, excitement and laughter. Every one of the 254,218 children who received a shoebox gift from last year’s appeal have their own story to tell but for each one of them (just like the girls in St. Theresa’s) they were so excited, so happy and felt really special. It really is the whole of Christmas wrapped up in a shoebox. Team Hope knows that God’s love is good news! Team Hope has just launched this year’s Christmas Shoebox Appeal. Get all the details on their website www.teamhope.ie or give them a call on (01) 294 0222. They would love to hear from you.